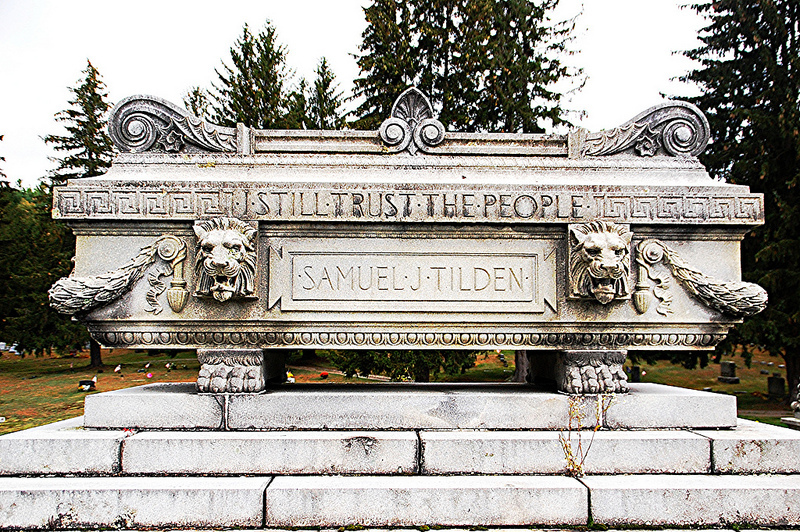 New York Governor Samuel Tilden did not serve as president, but depending on who you talk to, he did win the job. Tilden won the most popular votes in the 1876 election, but of course, the 1876 election was that election – the “Ugliest, Most Contentious Presidential Election Ever.” Said election included vote fraud of every kind, election boards offering to certify the winner for a price, illicit backroom deal-making and the Hayes team fighting tooth and nail to claim every last electoral vote. The fighting got so bad there were concerns, though probably overblown ones, that the country would sink back into civil war over the outcome. And where was Tilden amidst all this acrimony? He was inexplicably writing up a report on the history of electoral college procedures to shore up his position as a special commission decided on who won the election. Tilden might as well have announced he was going to personally throw up on each member of the commission, because when all was said and done, it was Hayes who ended up in the White House.